● When available, MyBag coupon codes tend to offer shipping deals or discounts as high as 15% on any or select products. ● Shop MyBag’s Outlet section and save up to 70% on select products. ● Standard delivery is free within the US for orders over £20. This offer appears ongoing but may be subject to change at any time. ● You may return items within 14 days of purchase for a refund. Some restrictions may apply, so make sure you carefully read the Return Policy. 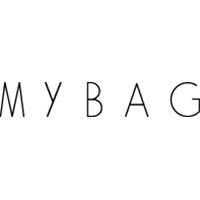 My Bag is an online boutique that offers luxury and designer handbags and accessories. The range varies from well-known designers to up and coming designers. There is an outlet section that visitors can shop to find discounted bags and accessories. Visitors can also use the A-Z drop down menu to search for a specific designer. Shipping is free in the UK with every order over £70. Orders ship out 7 days a week. My bag delivers to over 150 countries around the globe. Visitors can read the style blog for style inspiration. Contact information is posted at the bottom of the homepage. For most up to date offers check out My Bag on Facebook and Twitter or contact My Bag Support for any questions.